See more objects with the tag interior decoration, sidewall, muted colors, stitched, puzzles, wallpaper. 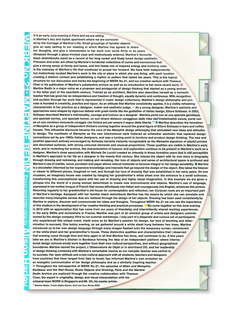 This is a Sidewall. It was designed by David Rockwell and manufactured by Maya Romanoff. It is dated 2008 and we acquired it in 2008. Its medium is stitched and hand dyed paper. It is a part of the Wallcoverings department. 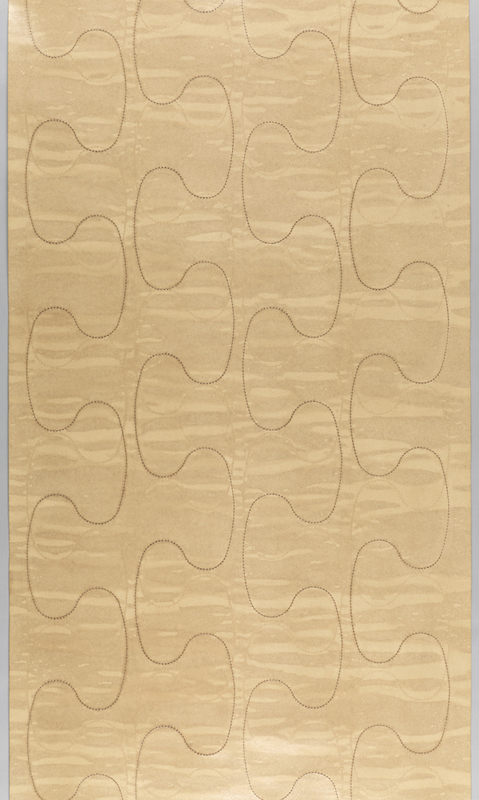 Stitched Puzzle, designed by David Rockwell for the Maya Romanoff Corporation, offers a glimpse into the range of colors and textures Rockwell employs to create his interiors. While Rockwell has designed everything from stage sets and hotels to playgrounds and home furnishings, Stitched Puzzle is from the designer’s first collection of wallcoverings. Initially inspired by a Maya Romanoff design titled Weathered Walls (ca. 1900), the Stitched collection is given a very updated and handcrafted look by the addition of stitching. The architecture and design practice he founded in 1984, Rockwell Group, has received numerous design awards, including the 2008 National Design Award in the field of Interior Design and the 2001 Presidential Award for the Grand Central Terminal restoration and renovation. One of the hallmarks of Rockwell interiors is the unexpected mix of textures, patterns, and materials used to create an environment or evoke an emotional response. Maya Romanoff has been creating innovative wallcoverings since 1969. Rockwell’s point of inspiration the Stitched collection, Weathered Walls, is among the Maya Romanoff wallcoverings in the museum’s collection. The proposed acquisition of papers from Rockwell’s Stitched collection would allow us to document the Maya Romanoff firm’s changing production as well as their collaboration with today’s leading design talents. This object was donated by Maya Romanoff and agent: Laura Romanoff. It is credited Gift of Maya Romanoff.